Two are certainly better than one when it comes to wealth and power. These men and women are innovators, developers, fashion moguls, CEOs, and philanthropists. From the US to France to Spain to China, scroll through to meet the world’s wealthiest couples. 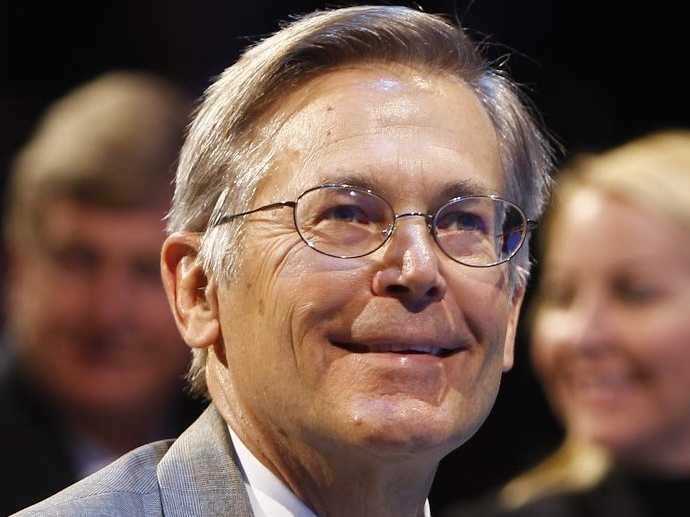 Jim Walton attends the 2011 Walmart Shareholders Meeting. James “Jim” Carr Walton, the youngest son of Wal-Mart founder Samuel Walton, joined the company’s board when his brother John died in 2005. He now serves as director of Walton Enterprises, the holding company of the Walton family assets; founder of Community Publishers; and chairman and CEO of Arvest Bank. The Walton Family Foundation, for which Jim Walton serves as secretary and treasurer, donated more than $300 million to charity in 2013. Wal-Mart stores operate in 14 countries and employ a staggering 2.2 million people. Still, the Waltons and their four grown children grant very few press interviews. They reside in Bentonville, Arkansas, where Lynne ran a bookstore in the town square until 2003. The couple has also donated more than $60,000 to the Republican National Senatorial and Congressional Committees. The founder and CEO of the world’s largest social network was just a sophomore at Harvard a mere 10 years ago. A chance meeting at a frat party sparked Zuckerberg’s relationship with fellow Harvard classmate Priscilla Chan, and nine years later they tied the knot. 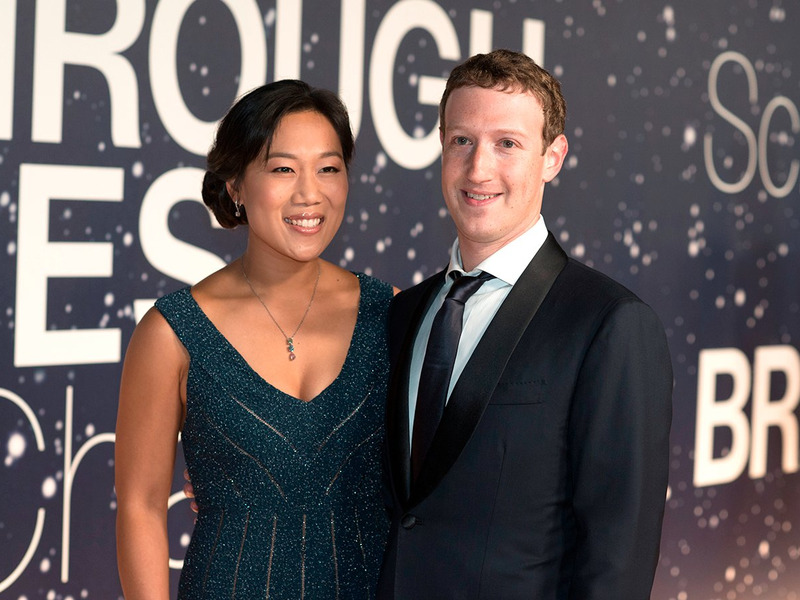 Chan, a pediatrician and trilingual former teacher, and Zuckerberg recently made a $75 million donation to help complete construction at San Francisco General Hospital and Trauma Center. The Facebook magnate, for his part, has been earning a $1 salary at the company since April 2013. Arnault is the CEO of Moët Hennessy Louis Vuitton (LVMH), a fashion and luxury products group. His success was founded upon an inheritance from his father’s civil engineering company, Ferinel. He eventually became chairman of Ferinel and acquired a handful of companies including Christian Dior and Le Bon Marché. When Louis Vuitton and Moët Hennessy merged, Arnault became the CEO, and LVMH now markets luxury products across 60 brands including Dom Perignon, Givenchy, and Marc Jacobs. 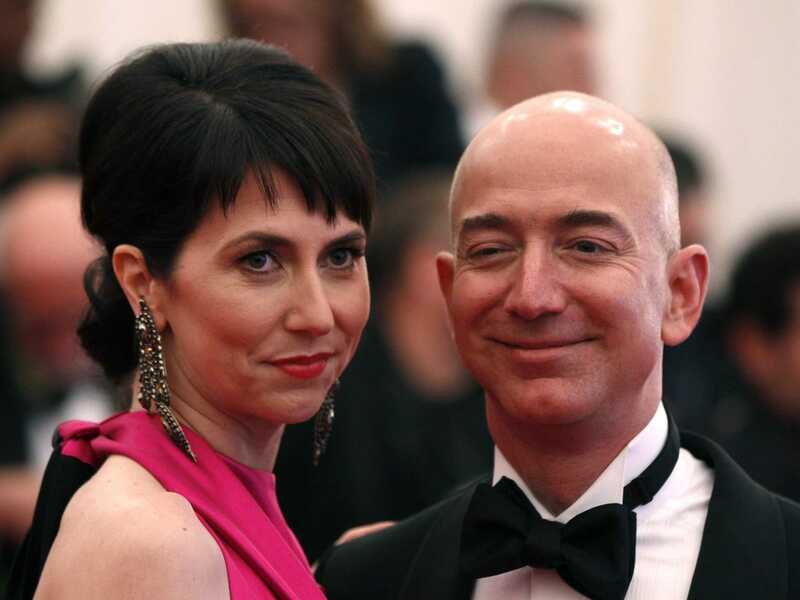 Mrs. Bezos met her future husband when she worked for him at D.E. Shaw, a New York-based hedge fund, in 1992. Within two years the pair were married and writing up the business plan for Amazon.com during their cross-country move to Seattle. Amazon, one of the largest e-commerce sites on the web, is now worth $175 billion, and Bezos himself is wealthier than three out of the four Wal-Mart heirs. MacKenzie is a former pupil of award-winning writer Toni Morrison and the recipient of the 2006 American Book Award. The couple’s 2013 purchase of The Washington Post — for $250 million — is reported to have been of personal interest (Amazon was not involved in the deal). 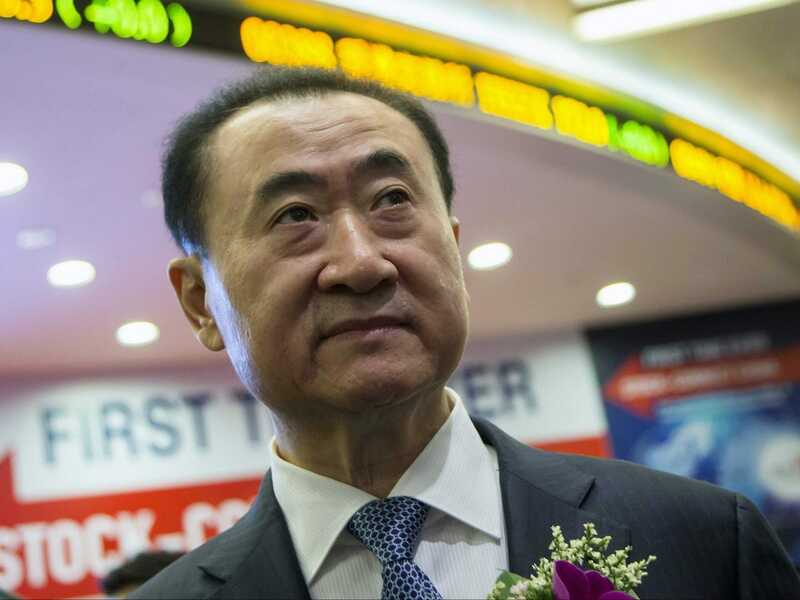 Wang borrowed $80,000 in 1986 to get his private property development company Dalian Wanda Group off the ground. Nearly 30 years later he owns the second-largest movie theater chain in North America, has an expanding portfolio of five-star luxury hotel investments, owns a majority stake in Sunseeker Yachts, and is a global leader in Chinese commercial real estate. He’s allegedly in the middle of talks to acquire Hollywood film studio Lions Gate Entertainment, and to invest in MGM. His wife, no less, serves as chairperson of Lin Investment Group Inc. — a company that provides construction, interior design, and food and beverage services throughout China. 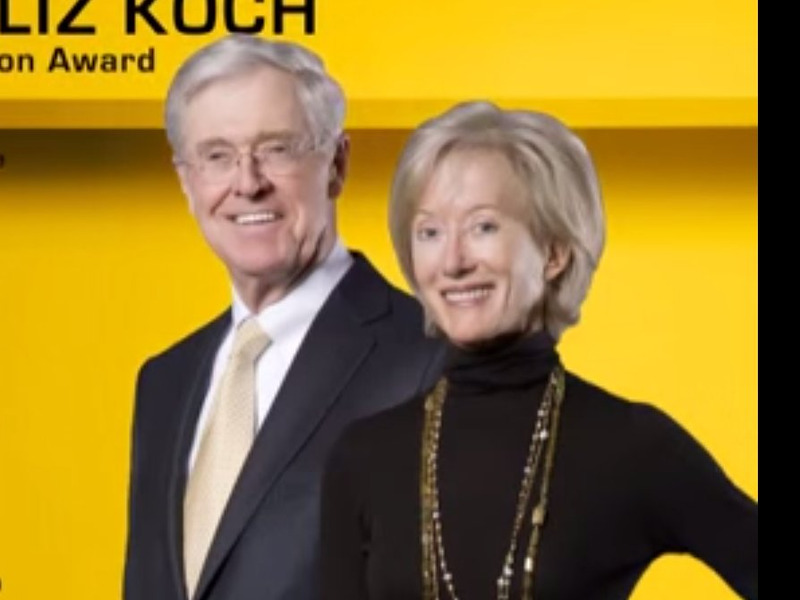 According to Elizabeth “Liz” Koch, the number-one driving conviction for her husband, Charles Koch, is a fervid belief in the free market system. The Koch family has been popularly demonized in the media, and Liz claims that they now go nowhere without bodyguards. Charles Koch and his three brothers inherited their father’s business in 1967 and in 1983, Koch and his brother, David, bought their brothers’ stakes in the company for $1 billion. 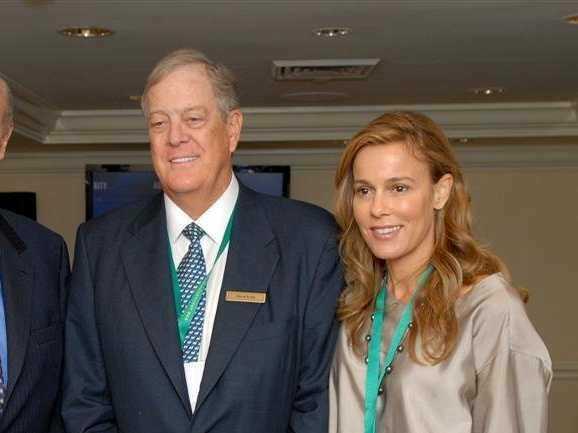 Today, Koch owns a 42% stake in the company and is its chairman and CEO. Liz Koch serves on the Board of Overseers of the Network for Teaching Entrepreneurship and also is involved in her husband’s company. Both Liz and Charles participate in the philanthropic activities of the Charles Koch Foundation and the Koch Cultural Trust. David and Julia Koch were introduced in 1991, when he was 50 and she was 27; he was working at Koch Industries, and she was working as an assistant to the famous fashion designer, Adolfo. They married in 1996 and have three children. Today, Julia is a director of the School of American Ballet. David serves as Executive Vice President of Koch Industries and the CEO of Koch Chemical Technology Group. He also was a former Libertarian Party US Vice-Presidential candidate. A staunch supporter of conservative politics, he hosted a private $50,000-a-plate campaign dinner to support Mitt Romney during the 2012 presidential campaign. Astrid was a waitress at a cocktail bar before marrying Buffett, the famous investor and chairman/CEO of Berkshire Hathaway. Buffett’s company owns Geico, Dairy Queen, Fruit of the Loom, Helzberg Diamonds, and Heinz, among others, and has a minority stake in American Express, Coca-Cola, Goldman Sachs, and more. 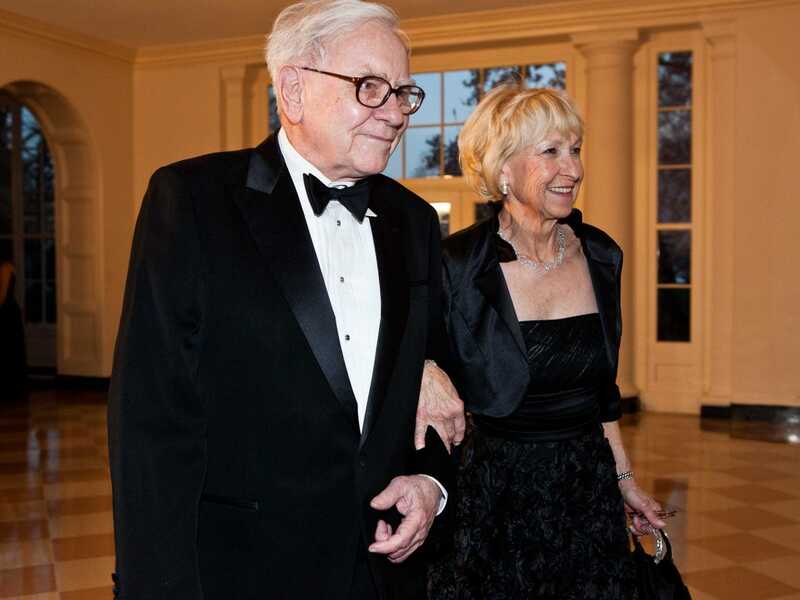 Buffett partnered with Bill Gates to create The Giving Pledge, and encourage other billionaires to commit most of their wealth to charity; the Buffetts personally plan to give away 85% of their Berkshire Hathaway shares. 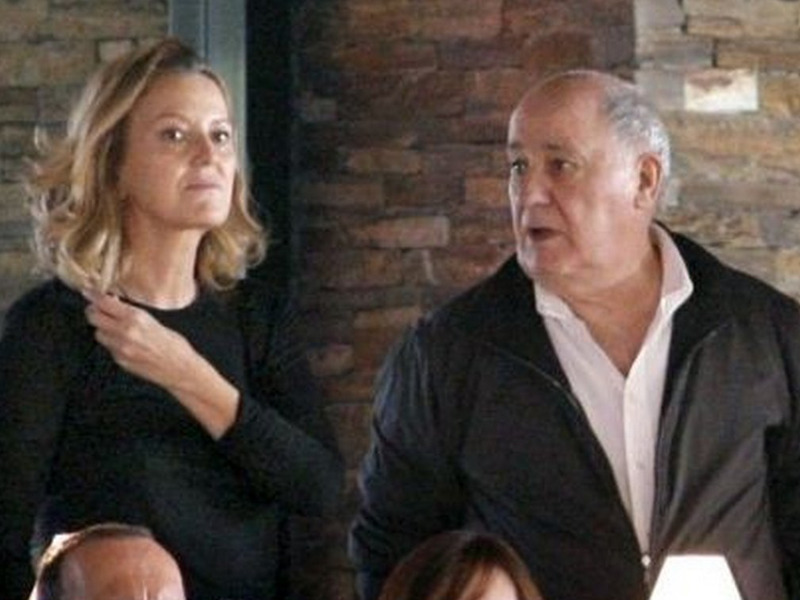 Retail fashion tycoon Amancio Ortega and his second wife, Flora Perez, met two decades before they married, while she worked as an employee at Amancio’s retail clothing holding company, Inditex. Ortega made most of his fortune after he co-founded Zara with his first wife in 1975, and the company quickly took off as an affordable place to purchase designer fabrics and clothing. Inditex went public in 2001 and is now one of the largest and most valuable fashion retail groups in the world. Today, Perez sits on the board of Inditex, as a representative of the holding company Gartler, which owns a 50% stake in Inditex. She also serves as a vice president of the Amancio Ortega Foundation, a philanthropic foundation set up by her husband intended mainly to contribute toward education and social initiatives. Though he made his fortune by founding Microsoft in 1975, these days Bill Gates’ primary occupation is serving as co-chairman of the Bill & Melinda Gates Foundation alongside his wife. 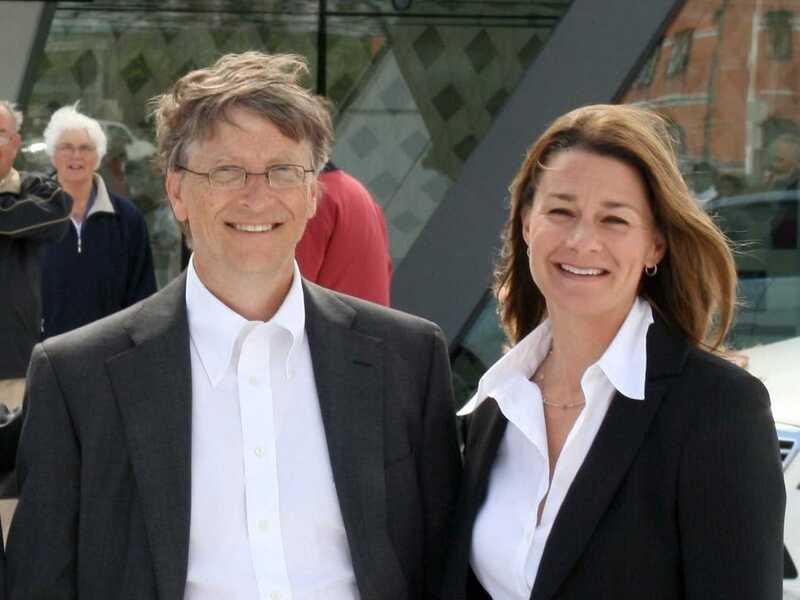 Melinda Gates began working at Microsoft in 1987, and the couple married in 1994. They have three children who they reportedly ban from using any and all Apple products. Gates still serves as director and technology advisor to Microsoft. Bill & Melinda Gates are well known as generous philanthropists, and in August 2010 formed The Giving Pledge with Warren Buffett, in which they publicly committed to bequest most of their wealth to charity. Those to sign on include Mark Zuckerberg, former New York City mayor Michael Bloomberg, and more than 130 other billionaires.